Hemming Morse’s Forensic Consulting Services Group is built on a foundation of highly experienced and dedicated partners with a broad range of expertise in accounting, economics, valuation and finance and a commitment to providing high quality work product to our clients. Our professionals have successfully supported attorneys and clients in some of the largest and most complex business disputes and financial investigations in the United States and internationally, and many of our partners have been qualified as experts in state, federal and international courts. Constantly adding value to the work we perform for our global clients is important to our partners. In accordance with this objective, Hemming Morse is an active member of The International Accounting Group (TIAG), a global association of CPAs, which operates in conjunction with TAGLaw, a worldwide alliance of law firms. Our dynamic involvement in these organizations allows us to collaborate with over 250 member firms within nearly 100 countries. 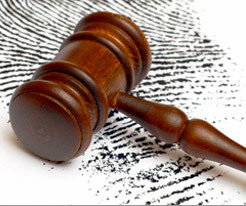 Our experience encompasses all phases of the forensic consulting process – from initial evaluation and development of strategy to discovery and in-depth financial analysis to settlement negotiations and expert testimony.